The Kremlin has slammed NATO's multi-national "Sea Shield 2019" naval drills which kicked off in the Black Sea on Friday and will include limited Ukrainian defense forces. The Russian Ministry of Foreign Affairs (MFA) said upon the military games' beginning, which also happens to mark NATO's 70th birthday: "Having militarized NE Europe, NATO has decided to increase its military presence in the Black Sea." 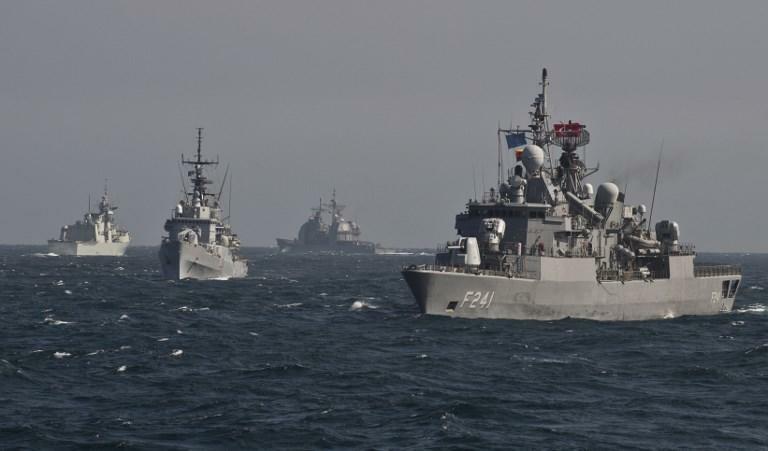 The Sea Shield 2019 is set to run from April 5 to April 13 and involves "14 Romanian warships and six warships from Bulgaria, Canada, Greece, the Netherlands, Turkey with 2,200 troops will carry out joint combat tasks in the Black Sea region," according to Ukraine's Mission to NATO and the Romanian Ministry of National Defense. Aerial assets will also be deployed as part of the games. But NATO officials have described the exercise as "a long-planned, annual exercise led by Romania" and claimed that "neither the patrols, nor the exercise, are linked to events in Ukraine." "Three Allied nations [Romania, Bulgaria, and Turkey] border the Black Sea, and NATO regularly conducts exercises and operations in the Black Sea in order to maintain credible deterrence and readiness," a NATO official continued in response to questions from Russian reporters last week. On Tuesday US Permanent Representative to NATO Kay Bailey Hutchison told reporters ahead of the NATO foreign ministerial meeting in Washington that the alliance was prepared to ramp up its defense posture in the Black Sea due to "destabilizing" and "unacceptable" behavior. 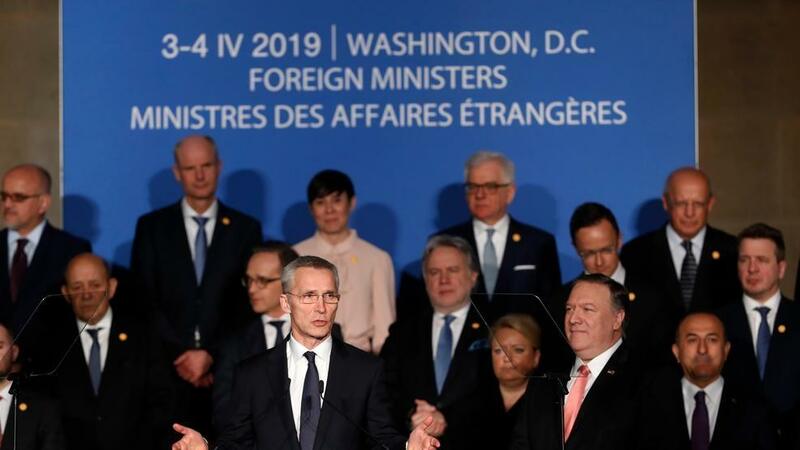 High on the agenda of the NATO foreign ministers during the Washington meeting marking 70 years of the alliance's existence was the Kerch Strait incident. As part of the conference NATO chief Jens Stoltenberg called on Moscow to release the Ukrainian vessels and their crews which had been held since the Nov. 25 incident. Last week the Russian Navy reported heavy naval traffic through the Boshorus Strait into the Black Sea in preparation for the NATO exercises. Meanwhile this week Russia reportedly conducted limited tests of its own defensive and offensive ship weapon in the Black Sea, in order to send a message in relation to the NATO build-up. On Thursday NATO Secretary-General Jens Stoltenberg told reporters that the alliance plans to step up defense of Ukraine and Georgia in the Black Sea and Caucuses, as NATO is prepared to beef up its presence in the region. But it doesn't appear the Kremlin is flinching, especially given that the 24 Ukrainian sailors still in pre-trial custody following the Kerch Strait incident have just had the Moscow’s Lefortovo court extended their arrest until April 24, according to TASS. Russian officials say the men face up to 6 years in prison if found guilty on charges which include "illegally crossing Russia’s state border". Should that sentencing come, it will be sure to set off a new round of heated rhetoric, bringing tensions between Moscow and Washington to boiling point.